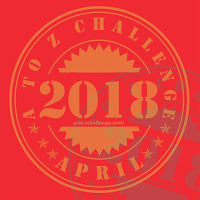 Hello, and thank you for checking in with me on A to Z Challenge Reflections day! 1. I finished! And I think I got all my posts up on time, with the correct letter on the corresponding day. Whew! 2. I kept up with comments pretty well, both on my blog and others. When necessary, I'd check the internet for additional information, but this two-volume set gave me a reliable starting place, even for the tricky letters Q, X, and Z. 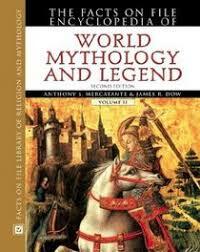 And seeing as how I'm a book person, I'd much rather browse through an encyclopedia than surf the web any day. 1. Some days, it was a scramble and took much more time than I planned. 3. On some blogs I visited, it was difficult to find exactly where to leave a comment. If it took more than twenty seconds, I left, regardless of how much I enjoyed the post. Am I the only one who had this problem? 4. I left many comments that were not returned, which is disappointing. I did have trouble leaving my web address at certain sites, so technical glitches may be partly at fault. On the flip side, I didn't make it back to some great blogs as often as I wanted. 1. As always, the content in A to Z is varied and fascinating. Funny, poignant, creative, thought-provoking, and sometimes a little dark, the blogs reflect the fascinating variety of the human experience. 2. I became acquainted with a handful of amazing bloggers who returned to my posts again and again, left great comments, and generally made me feel validated. Thank you so much! And a special shout-out to Karen of Profound Journey, whose blog was, and I'm sure will continue to be, a welcome refuge of wisdom. I do plan to join the A to Z Road Trip in a couple of weeks and visit some of the many blogs I missed. Check the A to Z page for details. Hope to see you there!